Sometimes you want to sit, other times you want to pick up your chair, pack it into a bundle in a matter of seconds, and be on your way. Well, that’s the idea behind the Nomad Chair ($525). 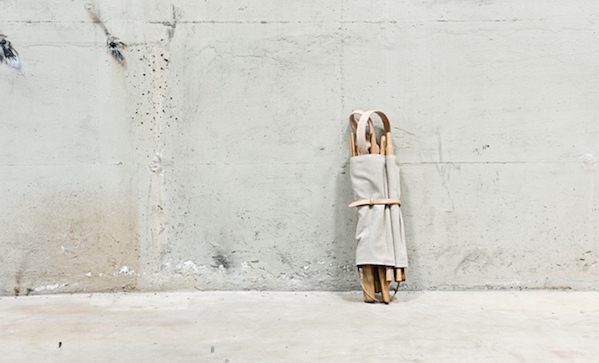 It’s bamboo, leather, canvas, and brass, and it’s designed to be entirely sustainable. Bamboo is one of the most sustainable resources in the world, and they only use bamboo from certified plantations using no herbicides, pesticides, or fertilizers. Basically, here’s some Scandinavian design you don’t have to feel terrible about owning.